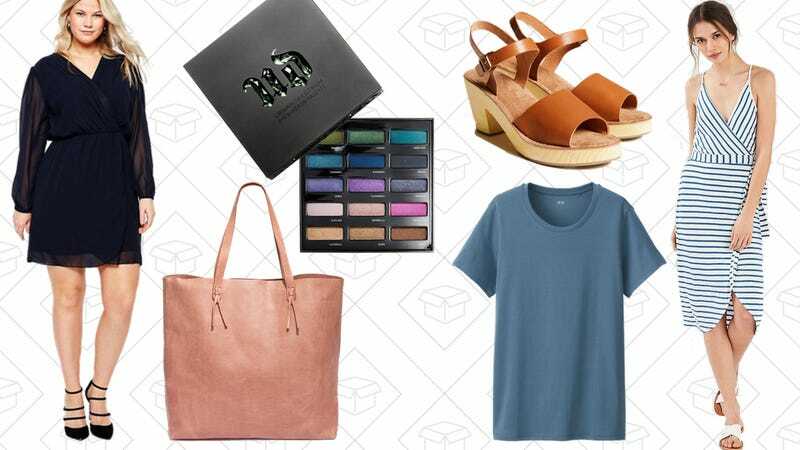 A 70% off sale at Urban Outfitters, Uniqlo tees 4 for $30, Madewell Transport Tote, and more lead Thursday’s best lifestyle deals. Pokégear, printers you won’t hate, and affordable Lacoste shoes lead off Thursday’s best deals. I’m a huge fan of buying multiples. When it comes to t-shirts, if you know it’s great, why only buy one? Why not buy four? These may not be on the list of the best white t-shirts, but with 17 different colors to choose from, you don’t even need to get white. The Transport Tote is usually sold out on Madewell when it’s on sale, because it’s just that damn good. I’ve had mine for over two years and it basically looks new. Grab one of these on sale right now for $115 and get ready to keep using the same bag forever. It’s really just a great carry-all. There’s no better time than the present to try an Urban Decay eyeshadow. This Urban Spectrum Eyeshadow Palette is only $29 and you get 15 shades for less than the price of two individual Urban Decay eyeshadow pots. Talk about worth it. Stila’s Stay All Day line is actually fool proof. And with the Stay All Day concealer on sale from $23 to only $10 (and if you want to pair it with the Perfect & Correct Foundation for only $15!) you’ll end up with a flawless complexion that will actually survive this humidity. Update: Sold out, but this similar product is available for the same price with code 7P5VMBXY. 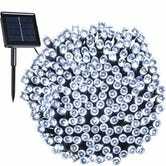 We see lots of deals on ~30' string light strands, but if that doesn’t cut it, here’s a 72' set with 150 individual bulbs for just $14. The best part though? They’re solar powered, waterproof, and battery operated for use at night. Your patio will thank you. 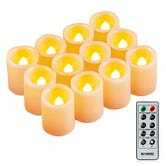 Everyone likes a little candlelight every now and then, but if you don’t want to keep buying new candles (or houses after you burn yours down), and you can score a dozen flameless votives for $21 today (with code JAUK3A2B), or two dozen for $34 (with code EZPI5GHY). 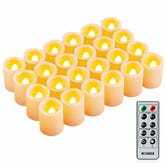 Each one runs on an included CR2450 battery for up to 200 hours, and you can find replacement batteries for less than $1 each, which is a lot less than an actual replacement candle. You also get a remote to control them all, assuming it hasn’t been sacrificed to R’hllor in the photo above. The destination for all things Millennial, Urban Outfitters, is having a Late Summer Sale. Get up to 70% off on a plethora of clothes, shoes, bags and accessories for less than you thought you’d ever pay at an Urban Outfitters. ASOS is already known for having a pretty affordable price range, but now they’re offering 60% off dresses. There’s literally 22 pages of options, so even if you don’t need a dress, I’m sure you’ll find one that you just have to have because the price is just so damn good. Even if you don’t need a new toy, get 15% off (plus free shipping) on stuff like extra lube or accessories. It’s always good to stock up on these kinds of things, because if you run out of them in a time of need, you can’t just grab new batteries and call it a day. Ann Taylor once again proves it’s not shy to follow trends. And now you can get up to an extra 60% off sale styles at their giant Semi-Annual Sale. There are some really awesome work staples, but also a great selection of trendier pieces you never thought you’d see there. When I was young, Payless was my happy place. I would find cool shoes that no one else had, and my mom would happily purchase them. So, with an extra 20% off clearance items when you use the code ZZCLEAR, you’ll end up paying single digits for awesome shoes. There’s no reason not to get a pair, or five. The Body Shop isn’t just for great smelling body lotions and bridal shower gifts. The skin care at The Body Shop is low key amazing. I’ve tried most of the Vitamin C line and it’s pretty much amazing, especially for summer. Get 30% off sitewide, plus get a free body butter with purchase, and try out all the new things. Now is the time to jump on the Mango bandwagon. If you’re sick of how weirdly trendy Zara has gotten, to the point where you can’t even go in there without wanting to strangle someone with an off-the-shoulder blouse, this sale is for you. Previously up to 50% off, Mango has bumped it to up to 70% off every single thing in the entire store. If you didn’t get your fill from Need Supply Co. when they had 20% off, maybe you should take a look at their newest Summer Sale. Get up to 70% off sale items from Need Supply Co. and celebrate going back to work with a new dress or something.